Released by PM Press in collaboration with Kersplebedeb in 2014, Turning Money into Rebellion: The Unlikely Story of Denmark’s Revolutionary Bank Robbers recalls the exploits of the so-called Blekingegade Gang, a group of Marxist revolutionaries who, during the 1970s and ‘80s, robbed cash-in-transit trucks, warehouses, and post offices around Copenhagen in order to provide national liberation movements in the Third World with much-needed material support. Now one of the group’s former members, Torkil Lauesen, has written a book titled Det globale perspektiv, “The Global Perspective”, released by the Danish press Nemo in May 2016. When the Blekingegade Group members were on trial in the late 1980s, the Danish media dubbed Lauesen the group’s “chief ideologue”. Although it is a label he rejects, Lauesen immersed himself early on in antiimperialist theory and political economy and continued to publish in relevant forums after his release from prison in 1995. Det globale perspektiv can be seen as the culmination of long-lasting analytical and theoretical efforts. The book is divided into three parts: The first is a history of imperialism from 1492 to 1989. The second examines neoliberal capitalism as it shapes the world today. The third investigates the Left’s possibilities of resistance and tries to develop a revolutionary perspective. For Lauesen, the prospects are less dire than for many on the Left. Despite the enormous challenges faced by anticapitalists and antiimperialists, he insists that “capitalism is heading for a deep structural crisis and within the next 20 to 30 years we will see fundamental changes in the global order”. Lauesen concedes that these changes might take on reactionary forms, but he persistently points to the “window of opportunity” that they also offer to the radical Left. One of his most interesting suggestions is that the importance of “mid-term” planning has been neglected. The focus, he says, has been either on pragmatic and often defensive short-term interventions or on idealistic and abstract long-term visions. Lauesen considers a mid-term approach necessary to build the organizations and fine-tune the strategies required for any long-term vision to be realized while escaping the treadmill of short-term action. Lauesen’s basic assumptions don’t differ much from the central positions held by KAK (Kommunistisk Arbejdskreds) and M-KA (Manifest – Kommunistisk Arbejdsgruppe), the political organizations behind the Blekingegade Group. He revisits the “parasite state theory”, which proclaimed that a labor aristocracy appeared in the First World that has more to lose than to win from a global socialist revolution, and he remains convinced that the primary revolutionary actors are to be found in what is now commonly referred to as the Global South. However, Lauesen also updates his theoretical reflections in various ways: he acknowledges the work of dissident Marxists such as Michel Foucault and Antonio Negri, recognizes attempts in political organizing beyond Leninist party structures – from the Zapatistas to the World Social Forum – and pays careful attention to the past decades’ changes in global capitalism, especially the relocation of production and the related emergence of a vast industrial proletariat in the Global South. Det globale perspektiv has everything a modern-day antiimperialist classic needs, except for the right language. It is yet another consequence of globalization that no text will receive broad international attention unless it is available in English. Let’s hope that Det globale perspektiv soon will be. 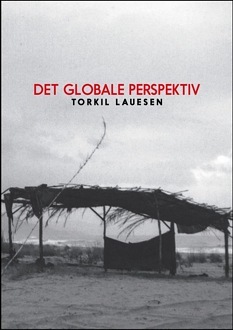 One Response to "Torkil Lauesen’s “The Global Perspective” (reviewed by Gabriel Kuhn)"
Just got the book “det globale perspektiv” and it is such an eye opener to read this book.